Oh, this is so lovely - that periwinkle is gorgeous. Your special young lady will be thrilled. Love it, dances in the sunlight. This is beautiful. You have a delicious color sense! I love your choice of background and border fabrics, it's just so summertime. Your quilt turned out great! Is it all or mostly scraps? Also, did you use a stabilizer like phone book paper? Bonnie Hunter is awesome! Thanks. 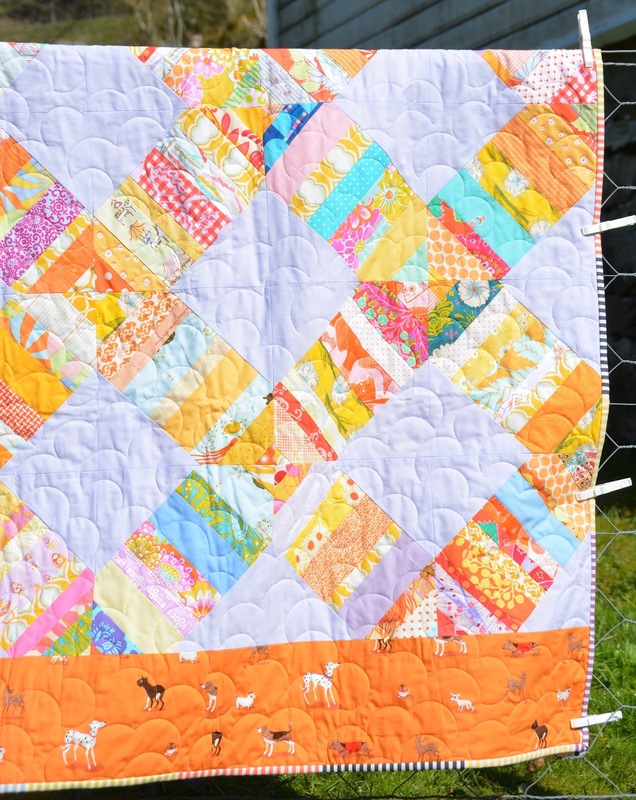 Somehow I missed this lovely quilt! So fresh, with just the right amount of whimsy. I'm sure the young woman will love it for many, many years.